Our best Black Friday deals yet! Up to 50% discount applies to online orders for full price styles for men, women & kids (subject to availability). You don’t need a promotional code for this offer – relevant styles have already been reduced online. Excludes Delivery Charges, Gift Vouchers and Lands' End services such as monogramming or gift boxing. Orders must be placed before 11:59pm on Friday 30th November 2018. Cannot be redeemed against any items previously ordered or purchased from Lands' End. 40% OFF all full price styles: 2 days only! During checkout enter the code BLKFRI40 in the ‘Add a promotion' field on the ‘View shopping bag' page. 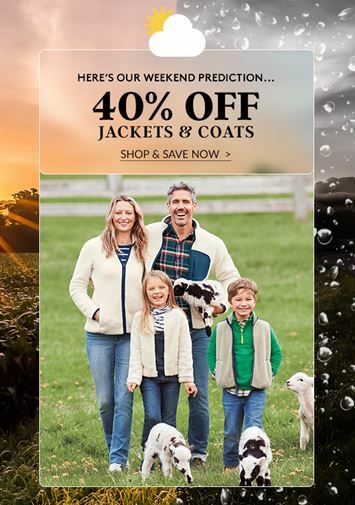 40% discount applies to Lands' End online Full Price styles only. 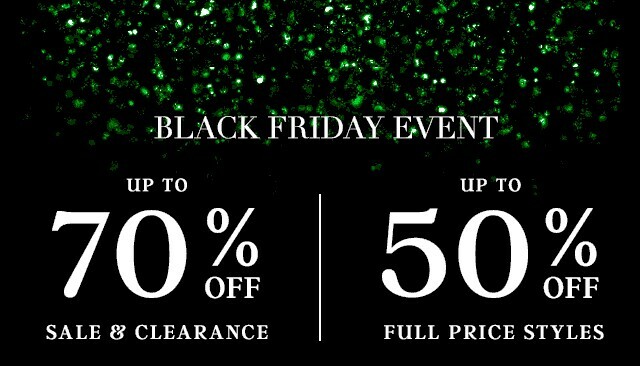 Offer excludes Sale items, delivery charges and Lands' End services such as monogramming or gift boxing. 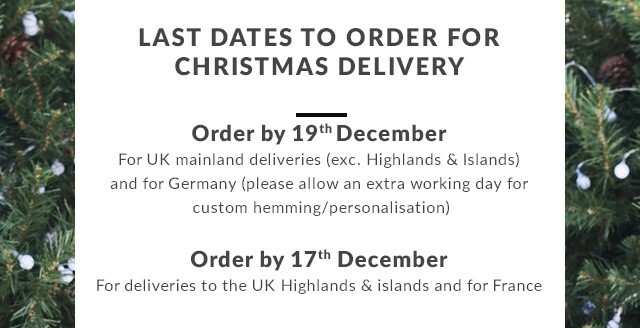 Orders must be placed before 11:59pm on Wednesday 21st November 2018. Discounts will only be applied where the code BLKFRI40 is entered correctly. Not to be used in conjunction with any other offer. Cannot be redeemed against any items previously ordered or purchased from Lands' End. 40% off will be applied pro-rata across all discounted items in your basket (for example, if you buy 2 items worth £10 each, you will be discounted £4 on each item). Here's a spooktacular 31% OFF everything! INCLUDES sale items | Use code: SCARY31 | Happy Halloween! During checkout enter the code SCARY31 in the ‘Add a promotion' field on the ‘View shopping bag' page. 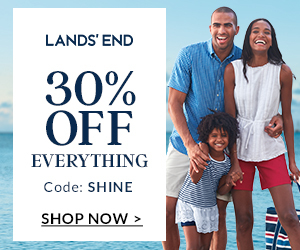 31% discount applies to Lands' End online Full Price and Sale items only. Offer excludes delivery charges, Gift Vouchers and Lands' End services such as monogramming or gift boxing. Orders must be placed before 11:59pm on Monday 29th October 2018. Discounts will only be applied where the code SCARY31 is entered correctly. Not to be used in conjunction with any other offer. Cannot be redeemed against any items previously ordered or purchased from Lands' End. 31% off will be applied pro-rata across all discounted items in your basket (for example, if you buy 2 items worth £10 each, you will be discounted £3.10 on each item). Flash sale now on - grab a real bargain! Hurry, while stocks last! Save £££s NOW on a great selection of easy-wear favourites for him and her. During checkout enter the code B2SCHL in the ‘Add a promotion' field on the ‘View shopping bag' page. 20% discount applies to selected Lands' End online Kids’ Back to School items only. Offer excludes delivery charges and Lands' End services such as monogramming or gift boxing. Orders must be placed before 11:59pm on Thursday 16th August 2018. Discounts will only be applied where the code B2SCHL is entered correctly. Not to be used in conjunction with any other offer. Cannot be redeemed against any items previously ordered or purchased from Lands' End. 20% off will be applied pro-rata across all discounted items in your basket (for example, if you buy 2 items worth £10 each, you will be discounted £2 on each item). During checkout enter the code SIZZLE50 in the ‘Add a promotion' field on the ‘View shopping bag' page. Please note, you will see your free delivery saving on the Billing page after entering your UK delivery address. Free Delivery when you spend £50 offer (worth £3.95) is valid for UK delivery addresses only. Orders must be placed before 11.59pm on Friday 20th July, 2018. Discount will only be applied where the code SIZZLE50 is entered correctly. Not to be used in conjunction with any other offer. Cannot be used to purchase concession items or Lands' End services such as monogramming or gift boxing. Cannot be redeemed against any items previously ordered or purchased from Lands' End. 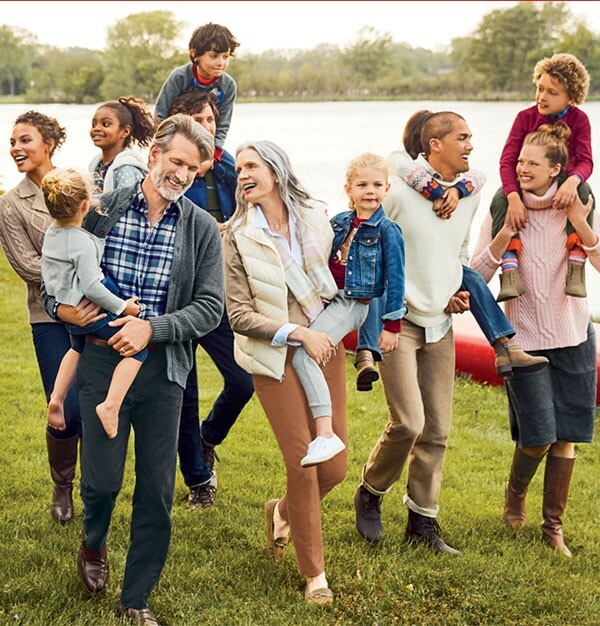 LANDS' END - It's a Spring thing! 30% off for a limited time. Your spring look starts with 30% off full price styles. During checkout enter the code 30SPRING in the ‘Add a promotion' field on the ‘View shopping bag' page. 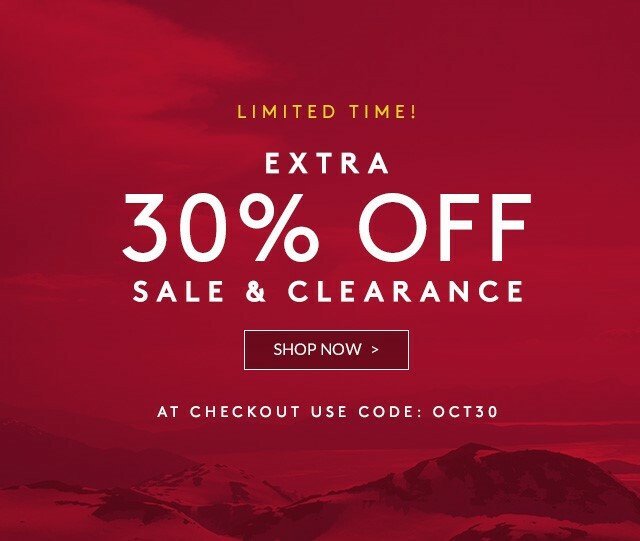 30% discount applies to Lands¹ End online full price items, and excludes delivery charges and Lands' End services such as monogramming or gift boxing. Orders must be placed before 11:59pm on Sunday 18th of March 2018. Discounts will only be applied where the code 30SPRING is entered correctly. Not to be used in conjunction with any other offer. Cannot be redeemed against any items previously ordered or purchased from Lands' End. 30% off will be applied pro-rata across all full price items in your basket (for example, if you buy 2 items worth £10 each, you will be discounted £3 on each item). During checkout enter the code VTINE30 in the ‘Add a promotion' field on the ‘View shopping bag' page. 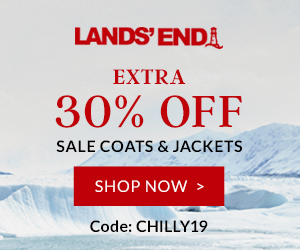 30% discount applies to Lands¹ End online full price items, and excludes delivery charges and Lands' End services such as monogramming or gift boxing. Orders must be placed before 11:59pm on Wednesday 14th of February 2018. Discounts will only be applied where the code VTINE30 is entered correctly. Not to be used in conjunction with any other offer. Cannot be redeemed against any items previously ordered or purchased from Lands' End. 30% off will be applied pro-rata across all full price items in your basket (for example, if you buy 2 items worth £10 each, you will be discounted £3 on each item). During checkout enter the code 25CL in the ‘Add a promotion' field on the ‘View shopping bag' page. 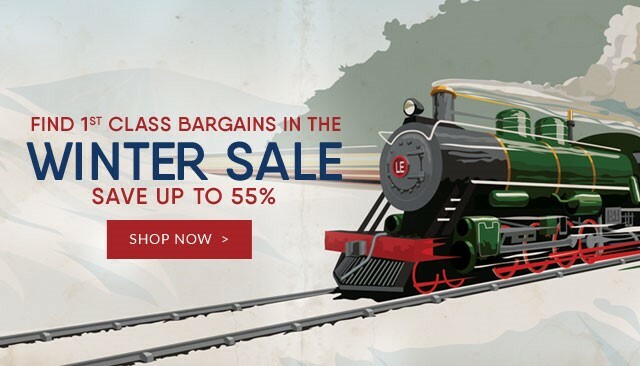 25% discount applies to Lands¹ End online Sale items which appear within the SALE section of the website only, and excludes delivery charges and Lands' End services such as monogramming or gift boxing. Orders must be placed before 11:59pm on Monday 22nd of January 2018. Discounts will only be applied where the code 25CL is entered correctly. Not to be used in conjunction with any other offer. Cannot be redeemed against any items previously ordered or purchased from Lands' End. 25% off will be applied pro-rata across all discounted items in your basket (for example, if you buy 2 items worth £10 each, you will be discounted £2.50 on each item). £10 OFF + Free P&P on orders over £50 - limited time! During checkout enter the code JAN10FD in the ‘Add a promotion' field on the ‘View shopping bag' page. Your £10 discount will then be deducted (on any items across the site) if your total basket spend is over £50 (excluding Lands' End services and gift vouchers). Please note, you will see your free delivery saving on the Billing page after entering your UK delivery address. 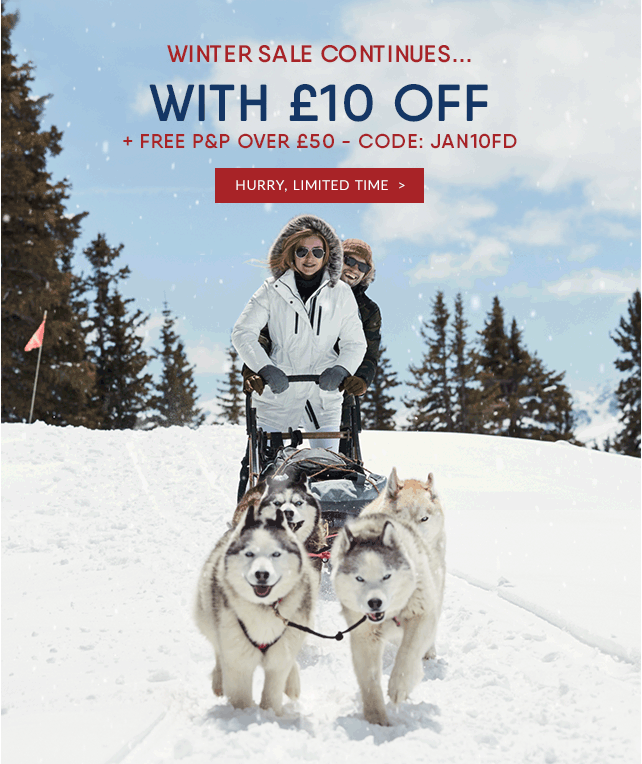 £10 off and free UK delivery applies to online orders totalling £50 or more (excludes Gift Vouchers and Lands' End services such as monogramming or gift boxing). Orders must be placed before 11:59pm on Monday 8th January 2018. Discounts will only be applied where the code JAN10FD is entered correctly. Not to be used in conjunction with any other offer. Cannot be redeemed against any items previously ordered or purchased from Lands' End. Discount will be applied pro-rata across all discounted items in your basket (for example, if you buy 2 items worth £25 each, you will be discounted £5 on each item). Free Delivery when you spend £50 offer (worth £3.95) is valid for UK delivery addresses only. Drop everything! 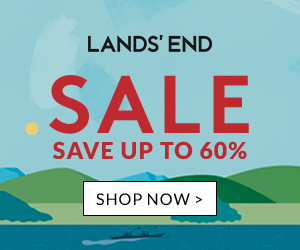 The Lands' End SALE is on, with too-good-to-miss bargains galore! During checkout enter the code 50SALEFD in the ‘Add a promotion' field on the ‘View shopping bag' page. Please note, you will see your free delivery saving on the Billing page after entering your UK delivery address. Free Delivery when you spend £30 offer (worth £3.95) is valid for UK delivery addresses only. Orders must be placed before 11.59pm on Friday 26th January, 2018. Discount will only be applied where the code 50SALEFD is entered correctly. Not to be used in conjunction with any other offer. Cannot be used to purchase concession items or Lands' End services such as monogramming or gift boxing. Cannot be redeemed against any items previously ordered or purchased from Lands' End. 30% off everything. Just in time for Christmas delivery! WOW! Half Price Down Coats? During checkout enter the code DN50 in the ‘Add a promotion' field on the ‘View shopping bag' page. 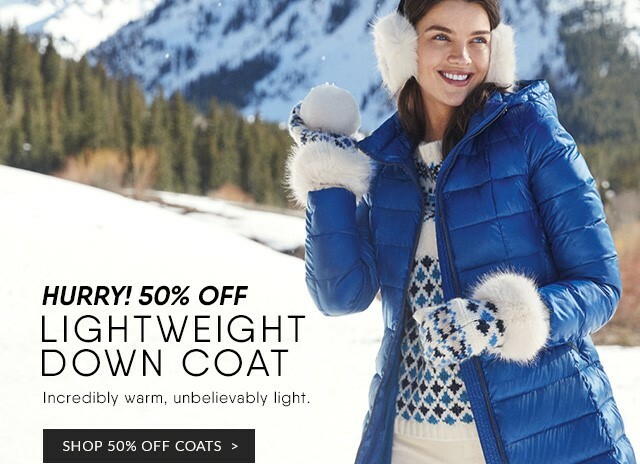 50% discount applies to selected online Lands’ End Down Coats only and excludes delivery charges and Lands' End services such as monogramming or gift boxing. Orders must be placed before 11:59pm on Monday 6th of November 2017. Discounts will only be applied where the code DN50 is entered correctly. Not to be used in conjunction with any other offer. Cannot be redeemed against any items previously ordered or purchased from Lands' End. 50% off will be applied pro-rata across all discounted items in your basket (for example, if you buy 2 items worth £10 each, you will be discounted £5 on each item).